Six Nines is the only Premier-tier AWS Consulting Partner focused on HPC and Windows Workloads. Having had the opportunity to preview the new service in advance as one of the official FSx launch partners – coupled with a decade of experience migrating Windows applications to the cloud – we’re sharing some expert insight directly from our experienced team of Windows and HPC experts. What if you’re already running Windows in the cloud? What if you’re thinking about moving your Windows applications to the cloud? What does this mean for HPC workloads, specifically? In summary, we’re thrilled to finally have a solution for our Windows customers that solves the shared storage gap for Windows Workloads. However, let’s be honest - there’s no such thing as one-size-fits-all. 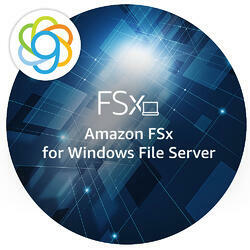 Whether you’re an existing customer or simply exploring your options for running Windows in the cloud, our team of highly skilled and deeply technical engineers can help evaluate and determine if Amazon FSx would benefit your business. Visit our FSx resource to learn more about how the fully managed Windows file system reduces the operational overhead of managing a file server and lets you focus on your business application needs. To find out if FSx is a fit for your organization, contact us for a complimentary evaluation today.